WILL THIS BE THE KNIGHTSBRIDGE OF IRELAND? A new build development in Dublin is being dubbed ‘Ireland’s Knightsbridge’ thanks to the deep pockets needed to buy one of the luxury apartments. The homes in the Ballsbridge area of the historic city have been painstakingly constructed, as reflected in the careful preservation of 150-year-old trees on the site. The trees have been preserved due to the site’s history – it is where the Trinity College Botanical Gardens sat between 1806 and 1968. 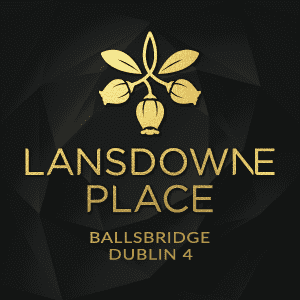 The Lansdowne Place development, which has one-bedroom flats starting from £695,000, is close to the Aviva Stadium, home of Irish rugby. Among the dozens of preserved trees is the star of the show – a strawberry tree. It is so called not because it produces any strawberries but due to the striking red colour of its bark. It takes pride of place, and is even reflected in the logo in the scheme’s marketing material and a specially commission statue that is being commission for the front of the development. The first block of the development is sold out and will be ready to move into in November. The scheme launches to international buyers this week, with all 60 flats sold so far having been bought by Dubliners. Six more blocks are available with each one being named after a well-known figure within the botanical industry. They include one called Templeton, named after John Templeton – the man regarded as the father of Irish botany. Another of the blocks is called Hutchins, after Ellen Hutchins, who was Ireland’s first female botanist and identified several important specimens. The site’s history is not the only unique feature of the development. It is an aspirational development that breaks the record for the highest price per square foot for a new-build apartment in Dublin. The development is in the prime Dublin location of Ballsbridge, with the highest price achieved so far in the block being €1,725 – the equivalent of £1,500 – per square foot. This is believed to be among the highest price ever paid in Dublin for a new-build apartment and it was for a three-bedroom penthouse on the development. It achieved the price due to a number of factors. Lansdowne Place includes stunning interiors with handcrafted kitchens by O’Connors, a sun room and an en-suite with every bedroom. It is also the first block of new-build flats in Dublin with extensive facilities such as a library, well-being treatment rooms and a cinema room. While these may be more commonplace elements of new luxury apartment buildings in other cities in England, this is the first time they have appeared in Dublin. The Irish capital is seeing huge growth in the property market to cater for employees from companies such as Facebook, Google and Airbnb, which all have bases in Dublin. This companies are part of a city that has been named as having the fastest growing economy, according to Eurostat. Outside, the development has several dozen trees aged around 150-years-old. These have been kept despite the vigorous excavation work carried out around them. Two new large trees costing £13,000 each are also being added to the courtyards. In total, £90,000 has been spent on new trees on the site, with millions more on the landscaping. The first phase of the development includes 215 apartments, with prices for one-bedroom flats covering 782 sq ft costing £695,000 and increasing to £6.3million for a three-bedroom penthouse covering 4,200 sq ft. The second phase of the development includes a further 300 apartments along with space for shops and a hotel. The entire development will be completed by 2023. The aim is for the area of Ballsbridge to become the equivalent of London’s Knightsbridge – albeit at a much lower price per square foot. The area already attracts plenty of money, but celebrities tend to congregate instead in the neighbouring area of Sandymount. That area includes Dublin Bay, which can be seen from some of the higher apartments in the 12 storey Lansdowne Place development. Ballsbridge includes several embassies, including the American Embassy, along with the most expensive street in road in Dublin – Shrewsbury Road where prices paid have previously reached £50million for the larger properties. There’s easy access to Dublin’s city centre, with its shopping centre and top restaurants such as Peploes. And no visit to Dublin is complete without a visit to the city’s lively Temple Bar area for a pint or two of Guinness in one of the city’s many Irish pubs. The apartments are also close to the Lansdowne Road railway station. Andrew Gunne, chief executive of the site’s developer Chartered Land, said: ‘Lansdowne Road is a name that’s recognised worldwide due to the rugby and football stadium once taking the name of the street. But the area – Ballsbridge – is not one anyone outside of Ireland would particularly be aware of even though it is the most exclusive residential address in Dublin. Estate agent Savills, which is handling the sale of the apartments, said the targeted buyer is 55-year-old business owners who are downsizing. The flats have a 999 year lease, an underground parking space and service charges of five euros per square foot. There are agency fees of 1.5 per cent and stamp duty as well as the usual legal fees. Stamp duty in Dublin is 1 per cent up to one million euros and 2 per cent on the balance. There is no tax on second homes. Buyers also need to be aware of Ireland’s property tax, which is 0.18 per cent of the price paid every year and 0.25 per cent on the balance. This article originally appeared on the Daily Mail.